Start with a simpler design, something that can create a pattern by stamping multiple times. Next try something more complex, create your own design or trace one that you love. Carve your Astrological Animal Sign or Chinese Zodiac Symbol. Carve your favorite bird, flower, tree, animal, or symbol. Or Carve something more abstract. 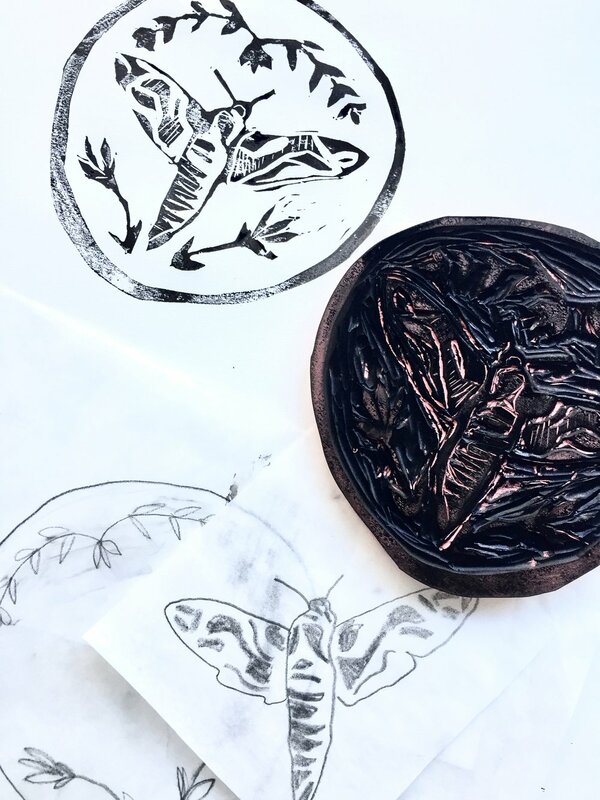 Carving stamps is a simple, calming, and enjoyable process that can result in functional stamps that can be used to create a beautiful image again and again. They can also be used to give you a starting point for a painting. For Example, check out this demonstration. 1. Once you have a design sketch it out on a piece of tracing paper using a soft pencil. 2. Flip your tracing paper over onto your Linoleum and rub the back of the tracing paper to transfer the design. You will need to decide if you want to carve away the positive or negative space. Optional: With your pencil, fill in the areas that you want to carve away to keep yourself from carving away the area you will be stamping. 3. You can cut the stamp down to size before or after you carve your design. Begin to carve away the dark areas, taking your time, starting off with small amounts of pressure until you get a feel for carving. Always carve away from yourself. Use a LinoGrip if you feel worried about your stamp slipping away from you. Be careful not to cut yourself. 4. Continue to slowly carve away the areas of the stamp that you want to show up as the paper, the area you leave will be the print from the ink you apply to the finished stamp. 5. 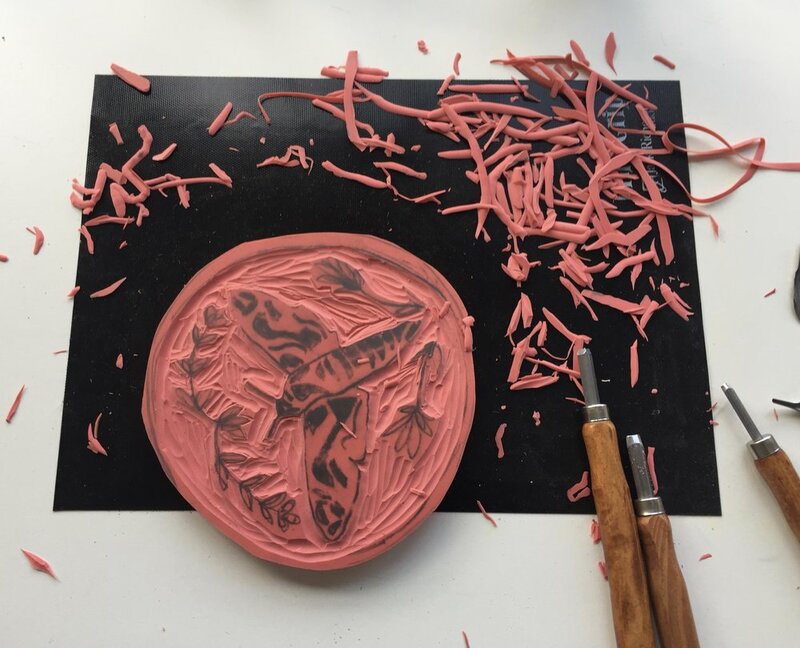 Once you are finished carving your stamp ink it with a stamp pad or lightly brush ink onto your stamp and stamp it onto a clean sheet of paper.